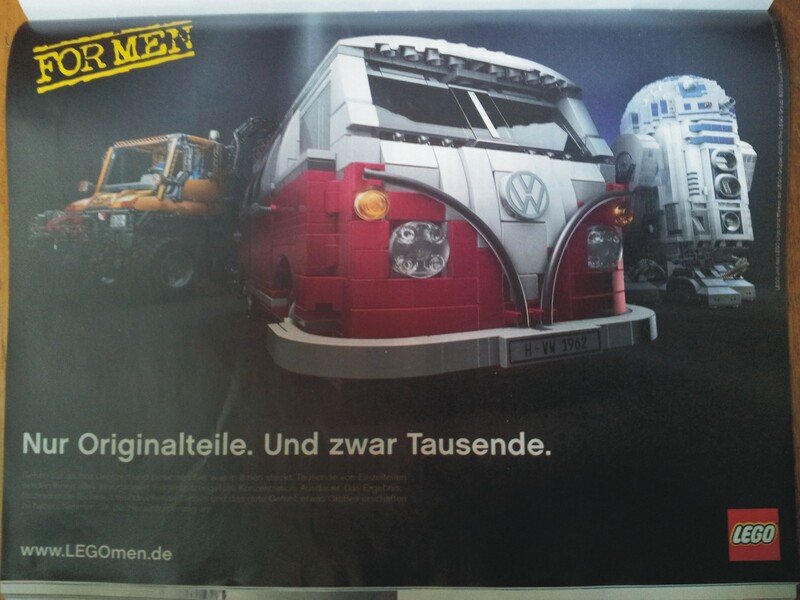 Nice ad campaign in the German media: Lego advertises its Volkswagen campervan model and a model of the Mercedes Unimog truck and of StarWars’ R2-D2, all under the headline of products “for men”. 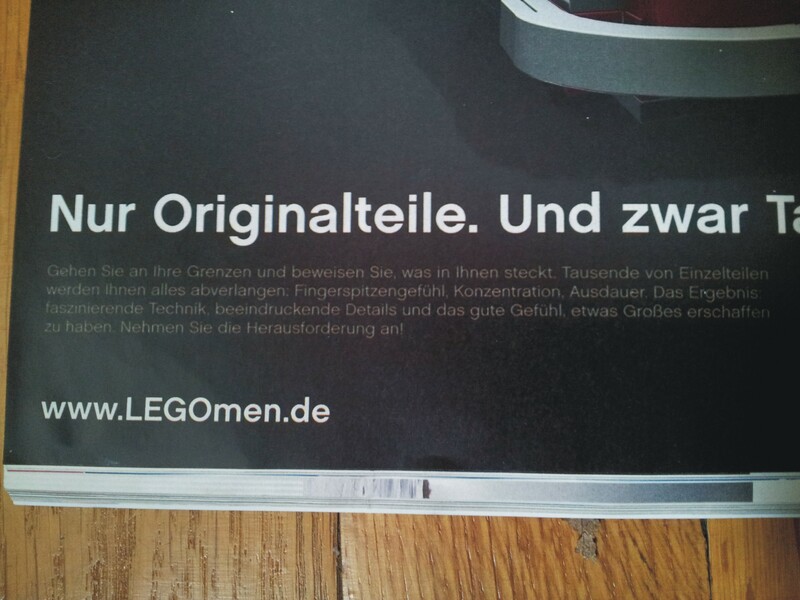 The ad starts with “Only Original Parts. Thousands of them”, and then goes on: “Show that you have it in you. Thousands of parts will push you to your limits (…). Accept the challenge.” Nicely ironic. They also have set up a web site for the campaign (www.LEGOmen.de). Line from that page: “Men don’t have hobbies, they have a task.” Find more photos of the Lego kombi, links to the Lego web shop and to a video of the assembly of this model in this collection of Lego-related posts. 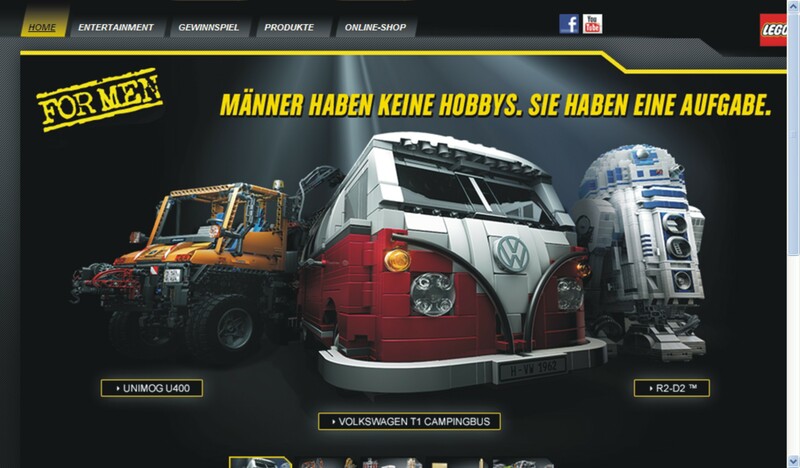 Screenshot from the Lego web page “http://www.legomen.de/&#8221;. This is pretty cool – found it on the VW Short Bus home page: Somebody built the Lego campervan I had mentioned in a previous post, took a snapshot of every single piece when it was put into its position, and then made a video from it. Nice! 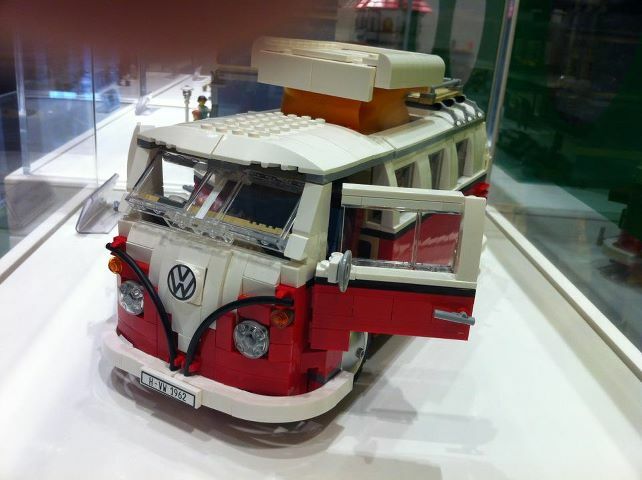 Last November I blogged about the Lego model of a VW split-window campervan which had then probably just been released. According to the Lego web page it is a 1962 campervan, including pop-up roof and safari front windows. Now a friend just sent me this photo of the completed Lego model, taken at the Lego Store in Frankfurt (thanks, Anke!). Reminded me of a wonderful series of blog entries I’d like to share with you: Zero-to-sixty-eventually (great kombi blog!) updates regularly on his daughter’s progress in building this model, with great shots along the way. Turns out Lego has put quite some effort in getting the details right. Have a look at the completed flat four cylinder boxer engine, and the lower section slowly taking shape. Including checkered floor and storage shelfs in the back doors. Amazing! It seems Lego has just brought out a kombi model. A T1 campervan. Awesome. Thanks to DrS for the snapshot, taken at Legoland Berlin, Potsdamer Platz. Here is a link to the lego web page. Thanks to Caro for the link!